The Superintendent’s Student Advisory Council with Mr. Simons and two dogs from Peppertree Rescue. Come to East Greenbush Town Park on the morning of Saturday, June 9 to have your dog washed and walked for only $5.00. All proceeds benefit Peppertree Rescue, a local animal shelter which finds homes for dogs in need. This event is being organized by East Greenbush Central School District students who comprise the Superintendent’s Student Advisory Council. They work with Superintendent Jeff Simons to develop leadership skills and bring positive changes to their schools and communities. “It really shows that students want to be involved in the community and we want to give back,” said Columbia student Lauryn Grugan ’18. 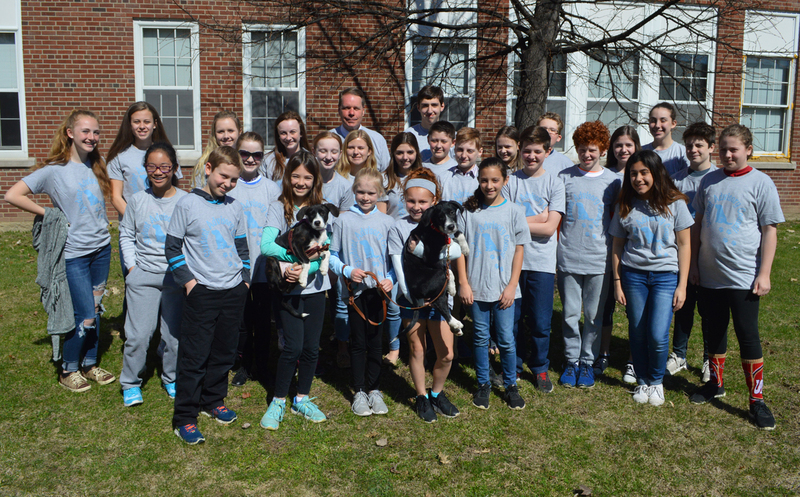 The students met Alissa Mosier, Board vice president of Peppertree Rescue earlier this spring, along with Nacho and Empanada, two Peppertree dogs who were rescued from Puerto Rico following the devastating hurricane last fall. The Superintendent’s Student Advisory Council raised $1,031 at last year’s event. They hope to contribute even more this year.